ReadItDaddy's Chapter Book and Early Readers Roundup - May 2015 - "Pirates, Detectives, Squirrels and Snozzcumbers!" Wow, the end of the month really comes around quickly doesn't it - so celebrate payday with another monthly roundup of chapter book and early readers for children. There's a real treat this month as we catch up with friends old and new, starting off by setting sail on the seven seas with our favourite pirate crew! "The Jolley Rogers and the Cave of Doom" is the latest book from Jonny Duddle, featuring the awesome pirate family from "The Pirates Next Door" who may soon be coming to a small screen near you! Here in chapter book form, The Jolley Rogers are taking a well earned holiday and a rest on a lovely sandy beach. When troublesome Nugget wanders off on her own into a deep dark cave but doesn't come back, Mum dashes to the rescue. Mum disappears too, swiftly followed by Dad, and before long it's up to Jim-lad, Bones the Dog and Matilda to investigate the family's disappearance. A haunted booty bounty, a nefarious sea hag and mysterious magic mean Matilda may face her toughest challenge yet! Jonny's pirate stories are huge favourites of ours, and it's great to catch up with his chapter book range now that Charlotte is old enough to appreciate stories with more words than pictures (that's not to say that Jonny doesn't work his magic with the illustrations throughout this superb book, his black and white Duddle-doodles are every bit as brill as his colour ones!) 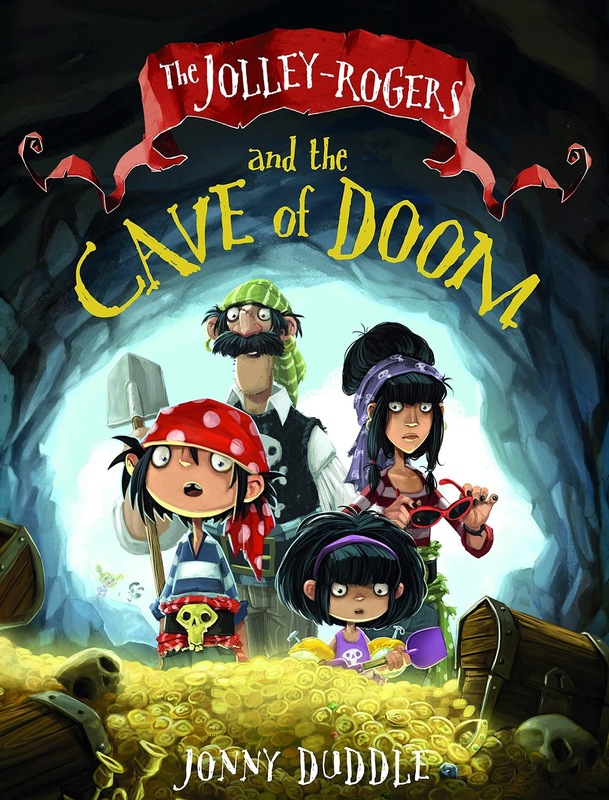 Following on nicely from "The Jolley-Rogers and the Ghostly Galleon", "The Cave of Doom" will keep you on the edge of your seat right till the last page. Yar harrrr! "The Jolley-Rogers and the Cave of Doom" is out now from Templar Publishing. Squirrel Boy! 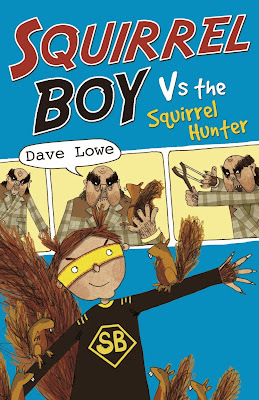 Dave Lowe's twitchy-nosed bushy-tailed superhero is back with a new foe to fight, and new battles to win in "Squirrel boy and the Squirrel Hunter". Enter the evil Squirrel Hunter who HATES everything about squirrels, and really doesn't like boys with squirrel-like powers either. Armed with a catapult, stinky breath and atrocious manners, the Squirrel Hunter rather fancies a new trophy to pin up on his wall at home - Squirrel Boy's tail! ARRGH! Can Walter, AKA Squirrel Boy, firmly keep his wits about him and win the day? 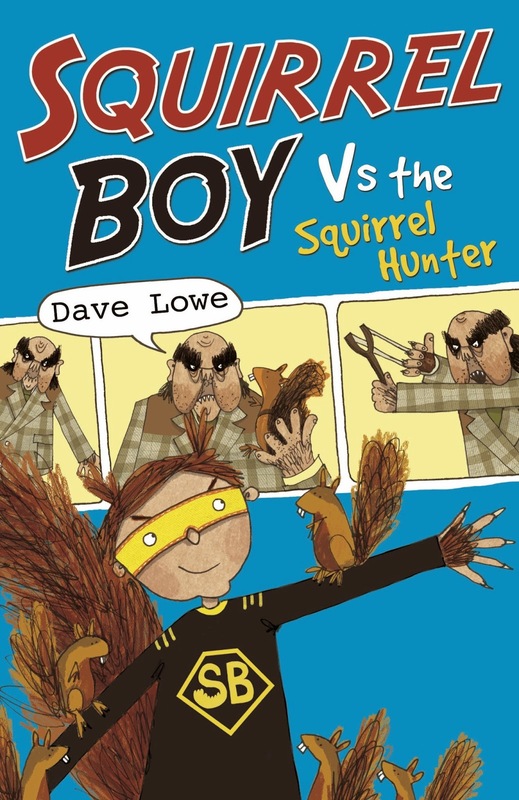 With brilliant illustrations from Cate James, Dave Lowe's sequel to "Squirrel Boy vs the Bogeyman" is full of hilarity and humour for fans of David Walliams and Jeff Kinney. If Charlotte's cackles of delight while she reads this are anything to go by, your funnybones are about to get squirreled! "Squirrel Boy and the Squirrel Hunter" is available now from Phoenix Yard Books. 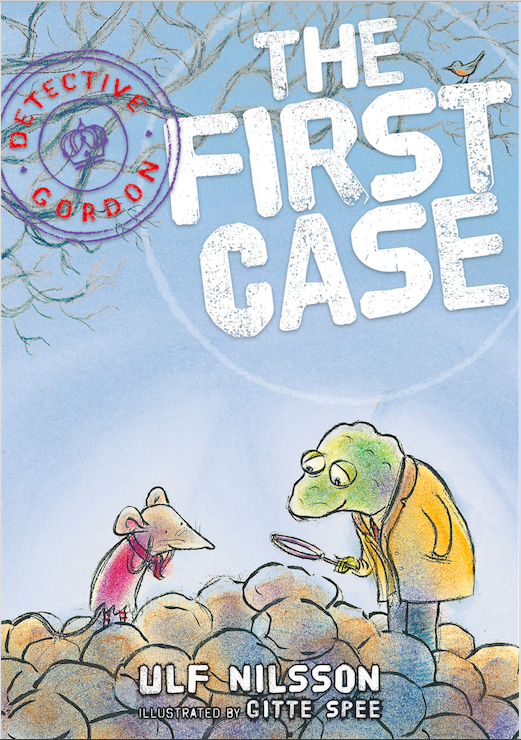 "Detective Gordon: The First Case: is a brilliant new book from Sweden's Ulf Nilsson, fully illustrated throughout by Gitte Spee. Detective Gordon (no, not THAT Detective Gordon. No bats in this tale!) is a curious, warty but highly intelligent toad with an inquisitive nose. Gordon's first case involves nefarious nutty thefts, and the cold cold winter. Wiping a dewdrop from his nose, Detective Gordon could seriously do with a hand. Will he be able to find a worthy assistant? Someone small, swift and as cunning as he is? Ulf and Gitte have come up trumps with a fantastically atmospheric early chapter book for little ones who fancy a funny and brilliant to read detective story. We've always said that kid detective novels are a huge untapped market so it's great to finally see a really brilliant one cropping up. Out now from Gecko Press. 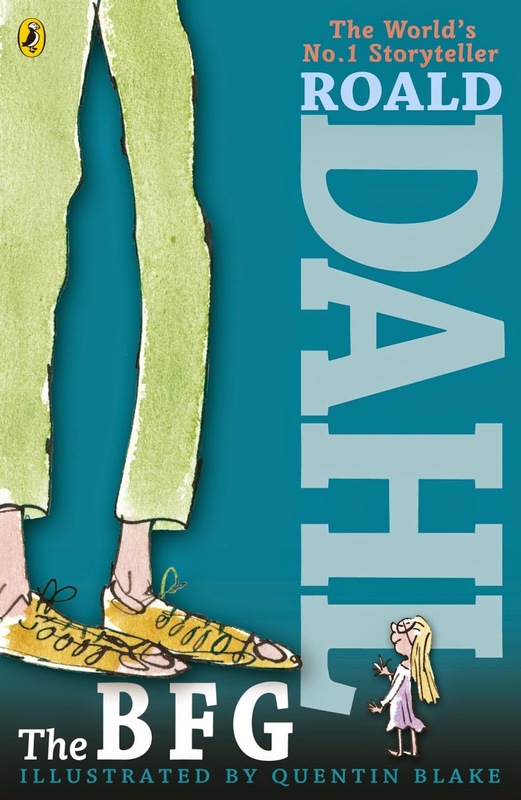 Roald Dahl's "The BFG" (with fabulous illustrations by Quentin Blake) was added to Charlotte's reading pile as she avidly consumes the back catalogue of the world's most endearing and magical children's author. The Big Friendly Giant - along with his best friend Sophie, is a timeless classic tale of good vs evil, absolutely chock full of Dahl's trademark language-twisting, dark comedy and hugely uplifting characters. Charlotte has utterly devoured this book along with Mummy for alternate bedtime reading sessions. Always the mark of a huge booky success that she also nabs it for sneaky reading sessions in between. Love him or loathe him (surely no one truly could dislike Roald Dahl) his stories really are as good as their press. "The BFG" is published by Puffin Books. And that's it for May. We'll bring you even more wonderful early readers and chapter books as the summer sunshine (hah) appears in the sky and encourages us to disappear outside for our reading in the fresh summer air.